We're sure the ship has offered you a million and one things to do here on the island. Let me assure you, they are all great things....BUT.....everyone else thinks so too and they will all be doing them with you. So let's get personal. We'll set you up with one of our trusty drivers who will come and pick you up from the ship, he'll bring you here, we'll get you all geared up and take you out to show you why we love this reef. NO BIG GROUPS, LOTS OF PERSONAL ATTENTION. We can cater to whatever you want, one tank or two, set you up with an island tour, point you in the right direction for some after diving munchies or anything else you can think of AND we'll have you back on the ship with time to spare so you can tell everyone what an amazing time you had! NOT YET CERTIFIED AND WANT TO TRY DIVING? Fantastic!! You only need a few hours to participate in our Discover Scuba Diving Experience. 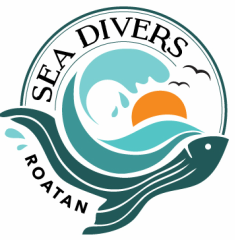 We'll go over some important information, get you into some shallow water for a few quick skills and take you out to the reef to do your very first dive to 40 ft! You'll get to see everything the certified divers do while trying out an amazing new sport. Ok, so not everyone in your family wants to dive...we understand that too. So here are some great options. With our location, your non-bubble making companions can catch a few rays on the beach located steps away from the dive shop, they can snorkel around the inner reef or they can join you on the boat for snorkeling. There is also a great restaurant located next door for food or drinks while they soak up the rays! Sorry...WE DO NOT TAKE CREDIT CARDS! Email us for reservations and transportation pricing.